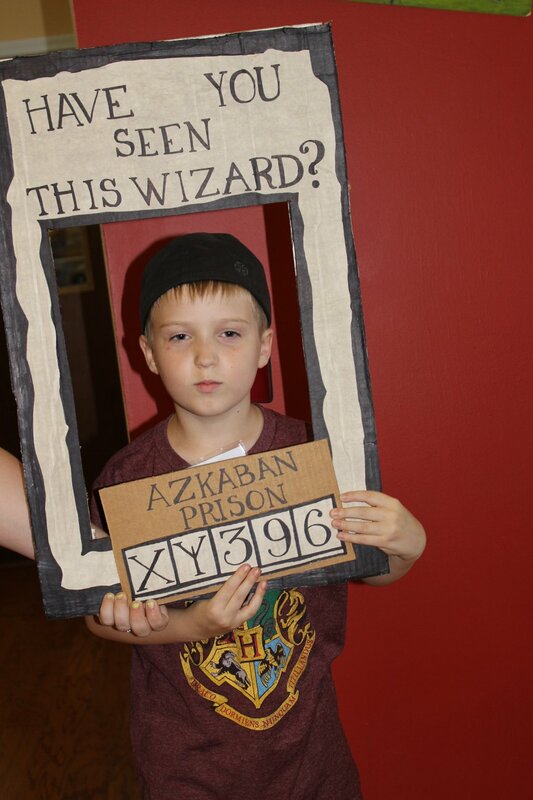 Back in June, the kids participated in a Hogwarts camp for the third year in a row. I'm a huge Harry Potter fan and they have become fans themselves. 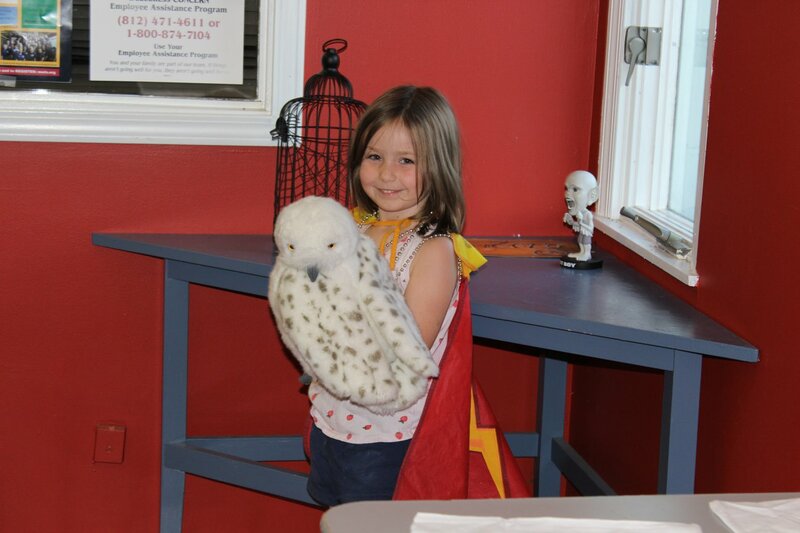 We love this camp because they get to do a lot of things such as go on a nature hike, learn about astronomy and animals, make all sorts of really cool crafts and of course play quidditch! This year one of Ewan's friends from Cub Scouts was there so it was extra fun. Here are a few things they did. The last night we got to come watch the quidditch tournament. 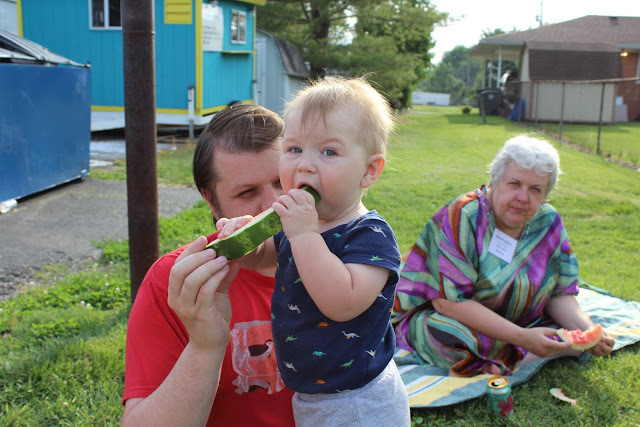 Cameron couldn't get enough watermelon! I love that we have this sort of thing in our area. I wish there was a grown up version! I had plans to write about what we've been up to this summer but we've been busy living life. 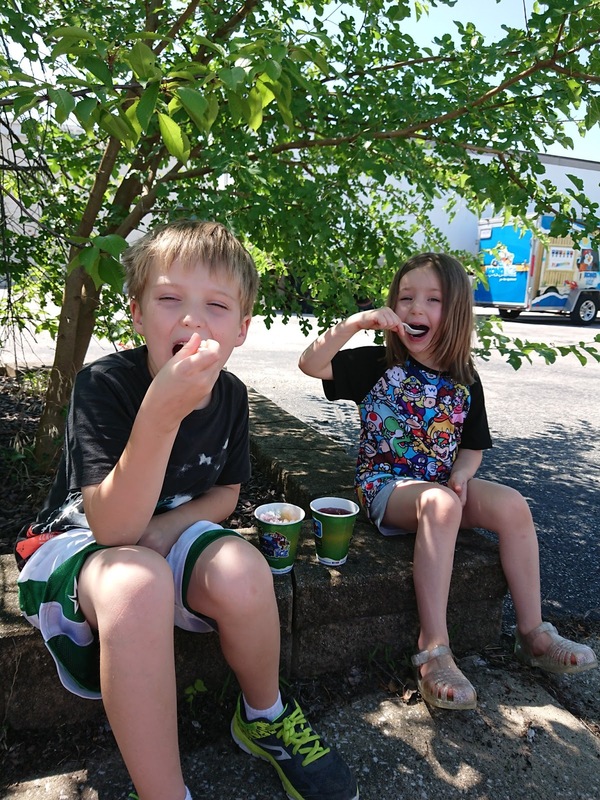 So now that it's August and the kids are back in school, here are some of the things we've been up to. We had many park picnics. We finally shot off Ewan's rocket he got for his fifth birthday. We had several zoo days. We spent a week visiting my family and the lake in Northeast Indiana. We spent a lot of time in the pool and rode bikes. We went to several summer library programs and the Evansville Museum. Stay tuned for a few more in depth posts about some of our adventures! I'm a few days late, but the kids went back to school on Wednesday. Ewan loves school and has been asking to go back since the end of May but we weren't sure how Cecily would do. She was insisting that she was going to the Catholic elementary school associated with her preschool (she's not) and we weren't entirely sure we were going to be able to get her in the building come back to school night. Even though she was a little shy at first, luckily she went in no problems! On the second day of school she insisted on being dropped off and walking by herself to her classroom. We had Ewan watch behind her to make sure she made it, which of course she did. How is my Kindergartener this independent already?! I always take photos and ask them the same questions before the new school year to see how much they've changed. Ewan wasn't really having it but Cecily was all about photos this year. Here they are!